Home Beginner's Guides Stats What is Experience? This guide tells you all about experience points and how to optimize leveling. Experience is gained by killing a monster (npc) and can vary depending on your level. After hitting certain experience level milestones, your level will increase, allowing you to increase your stats and skills. The term people use for killing monsters for a period of time to gain experience is "Leveling"
You can use platinum to buy knowledge elixirs or super combination elixirs to double or quadruple your experience gain. When people use elixirs to level, they sometimes call it "Lixing". 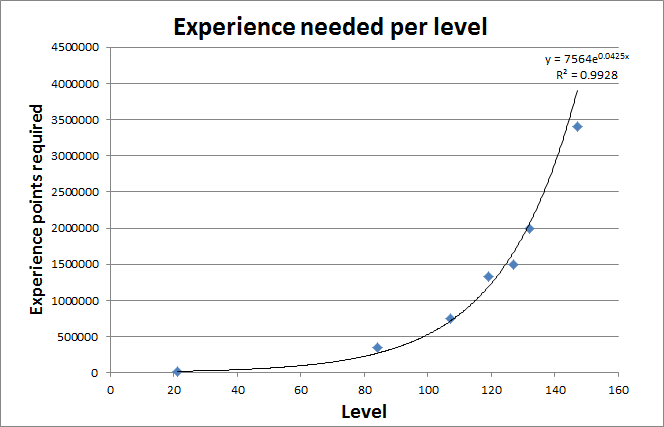 The easiest way to gain experience is to find monsters either your level or 2-3 levels higher than you, as monsters below you give exponentially less experience with every level, thus stopping high levels slaughtering low levels for experience. you will get zero experience from enemies 20 levels below you. For every person you have in your group the amount of xp/gold you get is divided amongst the group members, but you also gain 30% more experience and gold per group member. Your experience bar is split into 10 bars found in the stats page, the yellow bar indicates how much experience you have on your current bar. In the Otherworld/Carrowmore/Gelebron's Tower you will rarely come across a wise monster, these are green and give alot of experience, if you are its level it should give around 45k experience. It's a good idea to carry around a super knowledge elixer or potion just in case you come across one, if you can spare the extra inventory slot. 1 star monsters give less experience whilst 2 and 3 stars give average - high experience, while the 4 star monsters will give the most but are best tackled in a group. 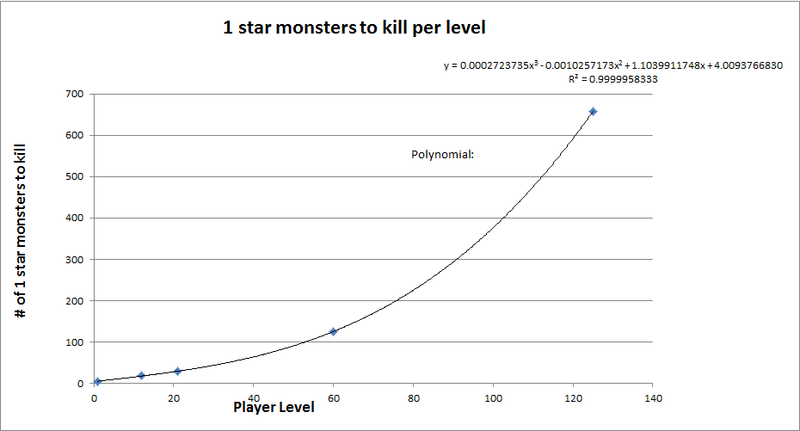 Any monster 5-6 stars is regarded as a boss, and is not efficient to kill for experience, although bosses do drop good amounts of gold. 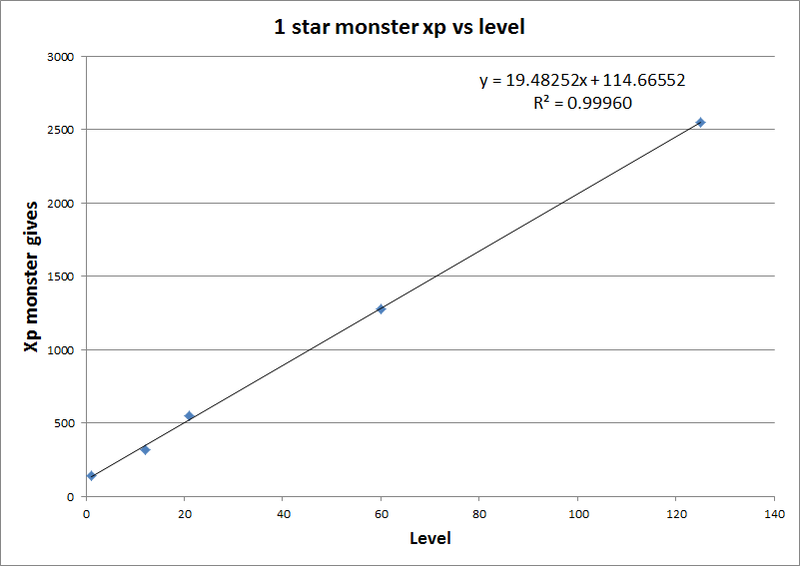 There are two sets of equations that determine how much xp you get from a monster: one for monsters taht are a lower level than you, and one from monsters that are a higher level than you. From this data, we can determine the equations for what xp you will get when fighting a mob solo.